4k00:16Beautiful rise with wing of airplane with beautiful cloud and blue sky in background. 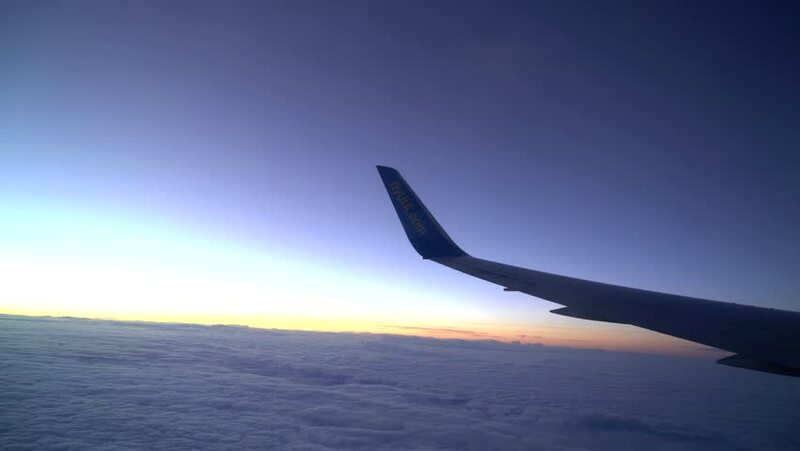 Airplane wing and blue sky in the morning. 4k00:10A view from the airplane. The aircraft is flying through the clouds.